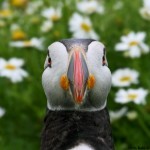 Great to see this Bank Holiday week-end over 15 Puffins visiting their burrows on Friday evening! This week’s newsletter is again packed with information. So please share all the news with colleagues! On Friday 3rd May a quick boat trip into the bay of Burhou allowed the team to count 96 Puffins rafting! 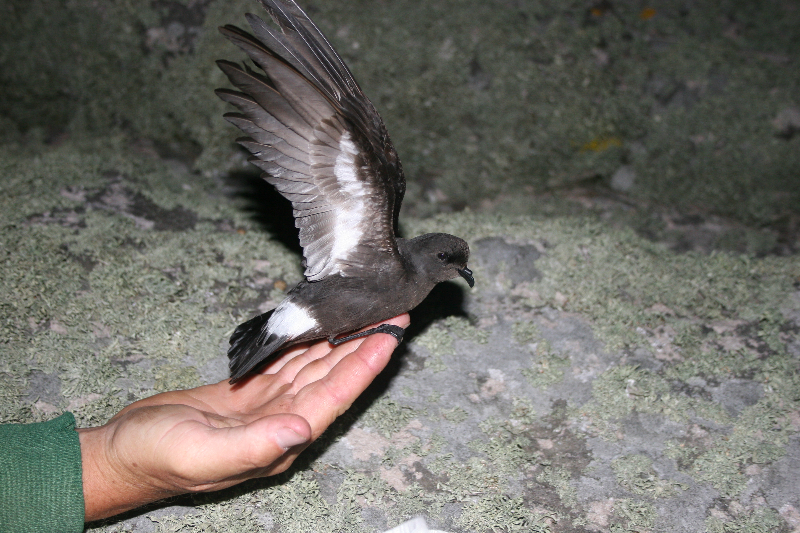 There were also a handful flying around and on land, so the numbers on Burhou have now passed the 100 mark. 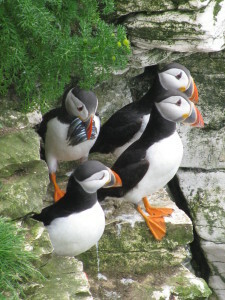 On Monday 6th May another trip only produced 27 Puffins rafting, the rest will have been further out to sea feeding. But the increase in numbers over the weekend is a sign that eggs could be laid soon, if they aren’t already. This week there are only 4 Daily Digests as one will not be produced for bank holiday Monday. As a result the new format for Thursdays, where a new staff member of the AWT talks about their work each week, will be suspended to carry on again on Thursday 16th May. This means the 4 posts this week will all be written by Tim Morley, and will talk about our boat ‘Sula of Braye’ and Blonde Hedgehogs amongst the usual seabird updates. Some very exciting technical news! Last week, the team on Alderney successfully tested the 2nd webcam on Burhou, running at the same time as the current webcam. Everything ran very smoothly, and we're delighted to say that the 2nd webcam (the “Close-up” cam) is now available to watch live on the website. Simply navigate to the Webcams section, and choose the “Close-up webcam”. We've also added a brand new section to the website called “Bird calls”, which you can find in the Wildlife menu in the navigation bar. On this page, you can listen to a range of professionally recorded bird calls (including, of course, the puffin!). Listen to the Daily Digest: Short Podcasts have been created to accompany last weeks Daily Digest reports. (29th April – 3rd May.) To replay a Podcast just go to the foot of the page you have selected and click on the symbol below. New Podcasts will be uploaded and added to this weeks Daily Digest articles later this week! 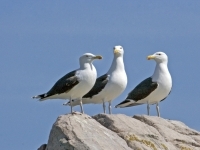 Maths data: We are pleased to share that the following data sets have now been added to the resources section: Alderney Weather, Puffin Raft Counts, Seabird size, wingspan and weight, incubation/fledging and seabird population counts. Bird Calls: Click on the Wildlife Tab to listen to common seabird calls. 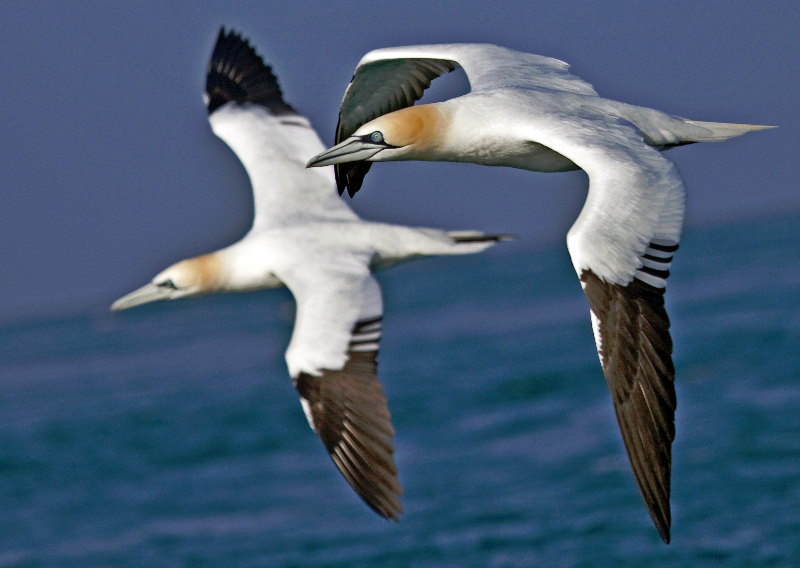 14 of the seabirds that live and breed on the island are listed on this page. We had two schools show us some brilliant examples of the work they have been doing within the project Herons class from Priory Fields and St Martins. If you would like to showcase your pupils work just email photos or any written work to Aurelie who will put it up on the School Zone Blog. We are going to have an Activity Day for schools on Thursday 23rd May. This will be a full day to indulge in Live and Puffins. 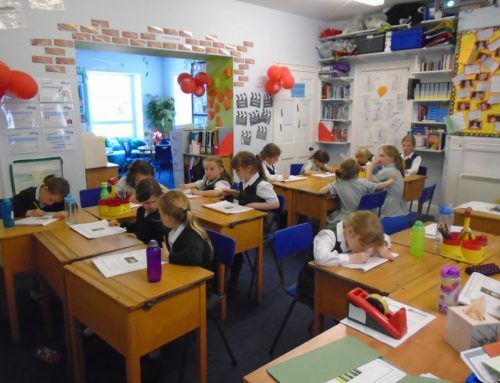 We’ll start the day with a video chat with schools and set activities for the pupils to carry out before a second video chat to discuss and show off their work. There will be the opportunity for the pupils to be an Ecologist for the day and carry out Puffin counts on video clips we will provide. To get involved email Aurelie and watch out on the Blog for more information. This weeks Flashmeeting will be on Thursday 9th May at 1030 to 1230. This is your opportunity to ask questions directly to Tim live! We’ve had some really good sessions so far, so if you want to know more about Flashmeeting email Aurelie. 2 new schools have joined the project this week. They are Bridge Primary, Kent and Hadyn Primary, Nottingham. A warm welcome to Mrs Saint and the year 2 pupils at Bridge and to Mrs Morley and all the staff and pupils at Hadyn Primary. 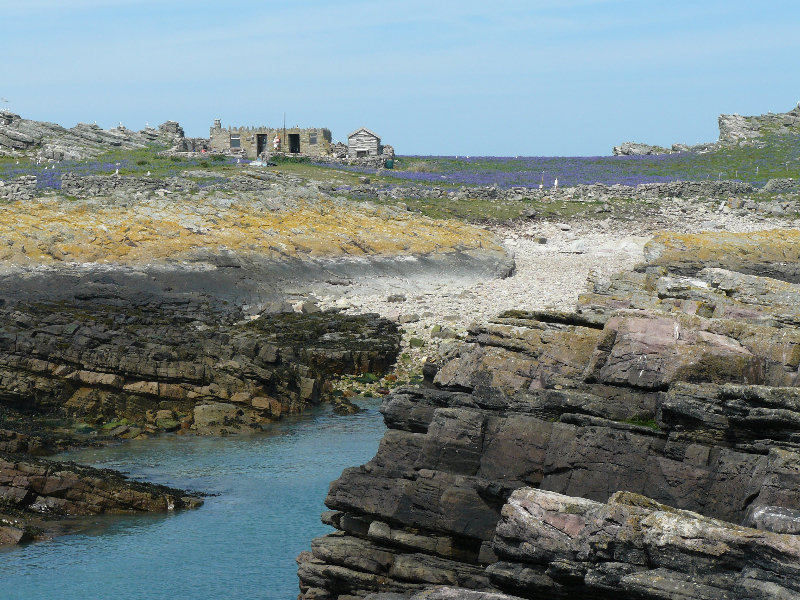 Once again, we hope you enjoy the project, making friends and learning about Alderney and its wonderful colony of Atlantic Puffins. On the 8th of May we think we saw sula of braye , was it you??? It probably was yes, we do guided tours of the birds on the water during the week. Although this time neither Aurelie or myself were on it unfortunately.